The rent at Casa Rosa Apartments ranges from $665 for a one bedroom to a $965 three bedroom. Apartments in this building are about 27% less expensive than the Oak Forest - Garden Oaks average. This is a pet-friendly apartment. This apartment is in the Oak Forest - Garden Oaks neighborhood in Houston. Nearby parks include Forest West Park, Rosslyn Park and Scarborough High School Baseball Field. Casa Rosa Apartments has a Walk Score of 70 out of 100. This location is Very Walkable so most errands can be accomplished on foot. 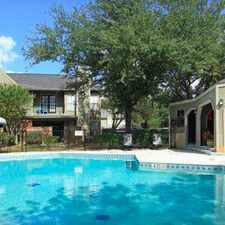 Casa Rosa Apartments is a Houston Apartment located at 5555 Antoine Dr. The property features 1 - 3 BR rental units available starting at $665. Amenities include Dogs Ok, Cats Ok, Pet Friendly Community, On-Site Laundry, In-Unit Laundry, and Washer / Dryer Connections. Surface Parking parking and Off-Street Parking parking available. Explore how far you can travel by car, bus, bike and foot from Casa Rosa Apartments. Casa Rosa Apartments has some transit which means a few nearby public transportation options. View all Oak Forest - Garden Oaks apartments on a map. Casa Rosa Apartments is in the Oak Forest - Garden Oaks neighborhood. Oak Forest - Garden Oaks is the 39th most walkable neighborhood in Houston with a neighborhood Walk Score of 51.